Set up of the Tahoe utilizes a modular design making for easy display set up and the systems versatility makes it fully customizable. The Classic Tahoe D is a modular trade show booth and display system that's available in a number of configurations. It is the perfect back wall and convention booth display. 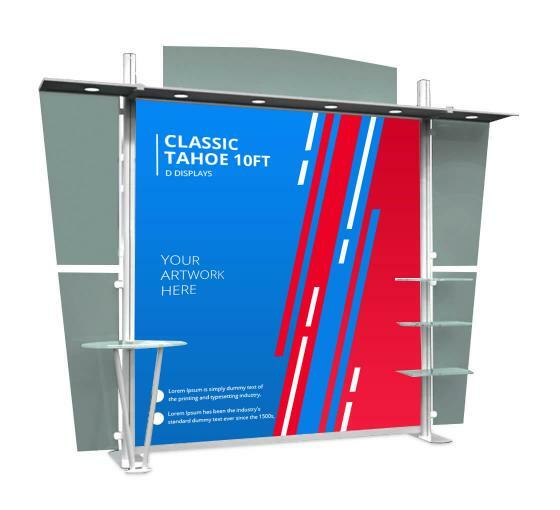 The Classic Tahoe D utilizes a modular design for easy booth display set up at trade shows. The system's versatility makes it a fully customizable convention booth display.